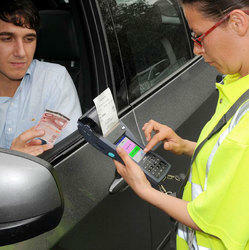 We are a prominent firm engaged in manufacturing and supplying Parking Management Systems. 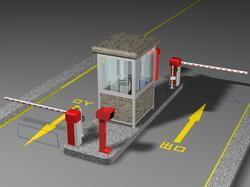 Our dexterous engineers design these product to provide a safe and organized parking management. box, Parking lot controller, Barrier, Vehicle detector, camera, card dispenser, charge management computer, management software and so on. 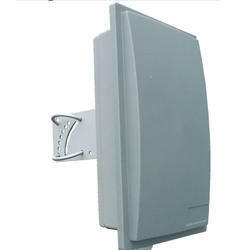 The whole system is stable performance, beautiful appearance also with image contrast, Voice intercom, temporary card charge, fire alarm and other functions. 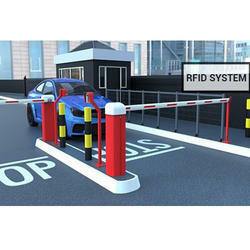 With the valuable assistance of skilled team of professionals, we are offering Parking Management Systems.The offered product is manufactured using high-grade raw materials and advanced technology, which ensure high performance. Also, this offered product is stringently tested as per the set industry standards and is available with us in different specifications at the most reasonable rates. Moreover, our offered system is widely acknowledged for its high performance and sturdiness. 5. Passive Long Range System Passive long range card/Anti demolition sticker. 1. The vehicle enters the area and display the rest of the floor space. 2. Vehicles to the fork in the road, parking guidance display venue of the parking area. 3A. No vehicle is parked, the empty parking indicator light is displayed as green . 4A. 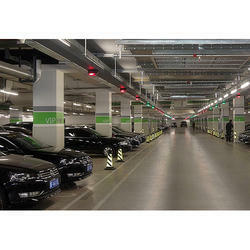 After parking, the indicator lights from green to red, the car owners in the location terminal to identify the parking area. 4B.Recognition of spaces, the lights from green to red, the owner can left. 5A. When taking car in the query terminal brush card, the screen shows the electronic map and take the car route.